Here is week 5 of Living Arrows. We just experienced our first family stomach bug. This is not one of the milestones that comes to mind when you have your first baby but it sure was a memorable learning experience (obviously by memorable, I mean terrible). After much Googling, Facebook group posting, calling the doctor’s office, tapping into my own personal mama tribe who have been through it, and surviving our first family stomach bug, here are a few tips to help you manage when you encounter your first stomach bug. I'm finally on time with my Living Arrows post! Hurray! 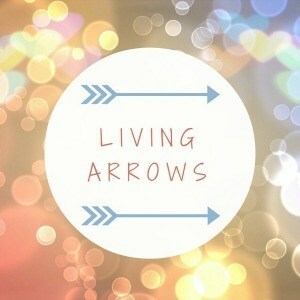 Here is week 4 of Living Arrows. Still catching up after the stomach but and a lovely weekend in Maine with my family. Here is week 3 of Living Arrows. The stomach bug caught up with us last week so I'm definitely behind in life and blogging! Here is week 2 of Living Arrows. This week, I stumbled upon a photo project called Living Arrows, which celebrates childhood on a weekly basis. This project was started by Donna, the mama over at What the Readhead Said. Donna and other mama bloggers connect every Monday to share a picture that captures childhood in their family each week. A few posts back, I talked about having the babies sort their laundry as one of their chores. As a teacher, I'm big on visuals so I use labels with words and pictures on their little laundry baskets. The babies can recognize a picture of socks when we look at their laundry baskets and both started saying "socks" (or more accurately "sahhh") while doing their laundry.